The end of the summer is here 😦 I’m not usually sad about that, usually I’m just dying for cooler weather and a change in season and schedule. But this year, our summer was so fun and the weather has been lovely, it made for a great summer! Plus, this week in the northeast we are having some serious September weather, just gorgeous out. This summer we have been going to the pool, spending time outside, hosting picnics, going on weekend trips, staying in our pjs half the day, riding bikes and playing with our dog (and new kitten, Jedi). I hope your summer has been lovely as well! However, I have told the kids that we can’t just live in this “lala” land of no schedules forever. Eventually we need to get back to a schedule…as sad as that is! The time has come. School starts in one week. I’ve bought the supplies from the list and they are waiting in 3 bags to head to school with the boys. 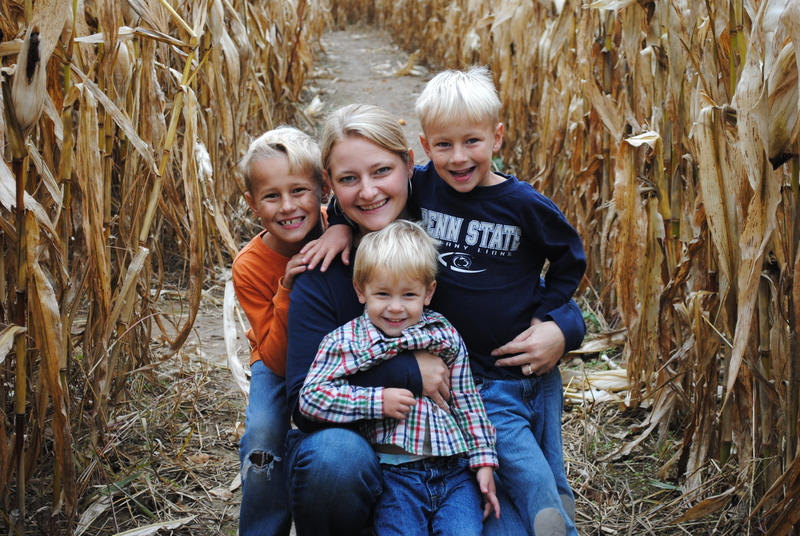 This year I have a 3rd grader, 1st grader and my bab is pre-K4. Wow, where did the time go!? Time is going by in a blur. Soccer is starting, our oldest wants to take gymnastics, Mr. Chaos started a new job with a longer commute and I’ve got lots of projects going on. As usual, the fall will be crazy! Before we give over totally to fall and school and cold weather, we still have several weeks of local fruits and vegetables left…most notably zucchini and tomatoes :). They are the gems at the end of the summer. I wait all season for them! I basically get as much of these vegetables (ok, tomatoes are a fruit) as I can and we eat them every day. In my opinion zucchini is the most versatile vegetable – it can be a dessert, a bread, or a savory dish, the ways to prepare it are endless. The classic favorite is zucchini bread. I remember summer evenings at home, my dad mowing the lawn, my sister and I running barefoot, munching on a slice of zucchini bread…mmmmmm. Funny how a food or taste can take you right back to a specific memory. 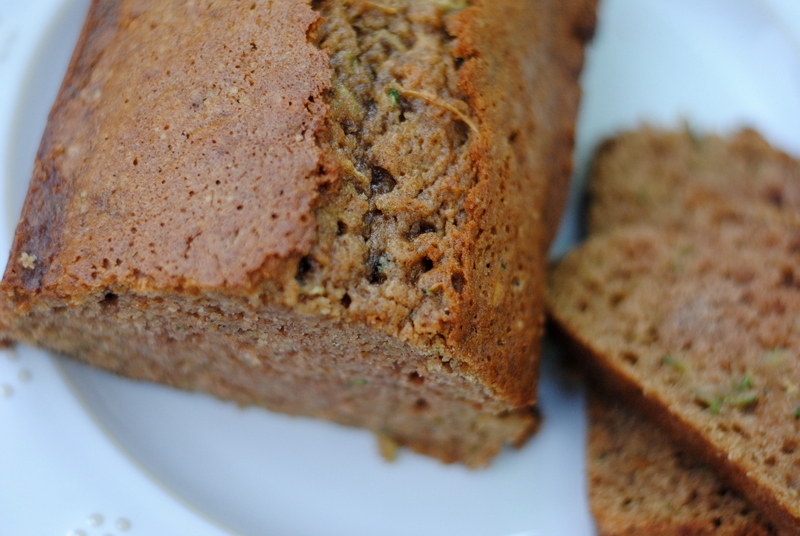 I still love zucchini bread and have made many different varieties. 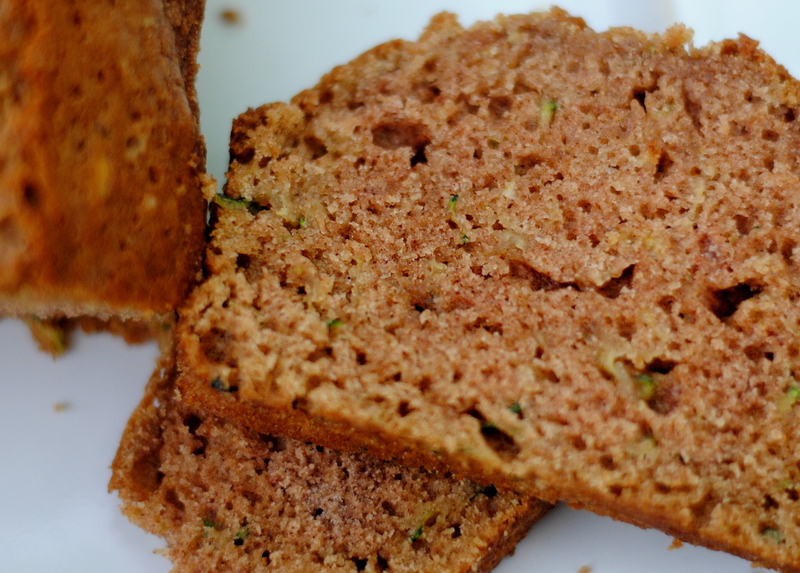 I know there are about 304 recipes for zucchini bread, but give this one a try, the flavor is really rich and wonderful. It might be your new favorite recipe! Mix the first 6 ingredients in a bowl. Mix the dry ingredients in a separate bowl. Add the dry ingredients to the wet ingredients and stir just until combined. Grease 2 9×5″ bread pans well and pour the batter into the pans. Bake at 350 for about an hour. Start checking at 45 minutes, you don’t want dry bread! Let cool for 10 minutes on the counter and then loosen with a knife and remove from pans to cool on wire racks. Loved the post. Reminded me of two little barefooted girls! 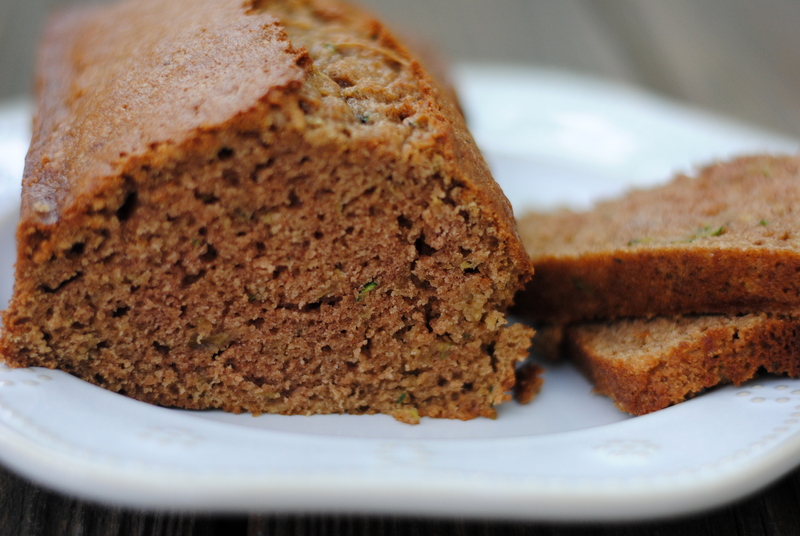 And something as simple as zucchini bread made your memory list! This was really delicious. I made some this weekend with zucchini from our garden and one loaf was gone in a day. The second loaf (one recipe makes two) is hidden for now. but i’ll be making this again soon.